With jest-puppeteer – and its included expect-puppeteer assertion library – it’s possible to use Puppeteer within your Jest tests. Writing integration test can be done using Puppeteer API but it can be complicated and hard because API is not designed for testing. 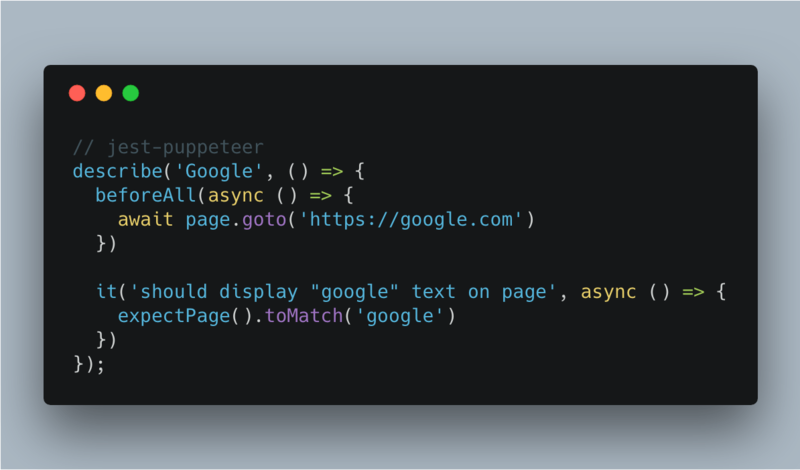 To make it simpler, an expectPage() is automatically installed and available, it provides a lot of convenient methods, all documented in expect-puppeteer API. With expect-puppeteer it’s also easy peasy to click buttons, complete forms, etc. IMcD23/TabView – Easily add multiple tabs to your iOS app, styled similar to Safari for iPad.